Located in Raleigh, North Carolina, Ellis Antique Cars specializes in the sales of antique and muscle cars, as well as quality used car parts for old-fashioned vehicles. We also buy antique cars and parts, and we offer a small selection of John Deere® and Ford™ antique tractors and parts. Our owners have been collecting cars since 1970 and we rebuild them to restore them to their original beauty. Many of our antique cars are by Ford, Chevy™, Oldsmobile™, Plymouth™, or Dodge™ and are available from the 1930s and later. With more than 200 antique cars in our inventory, Ellis Antique Cars is proud to boast the best selection. Many of the autos are in need of some TLC, and we offer a selection of rare, antique convertible cars as well as antique trucks for the enthusiast. 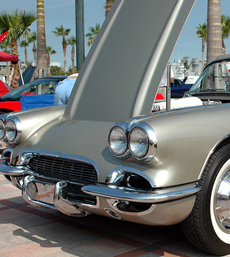 At Ellis Antique Cars, we also buy antique cars and parts, and we offer great prices. Contact us with the information about the car or part you wish to sell. If we choose to purchase the car or part, simply ship it to us and we will provide payment. Email us today to learn more about our antique cars or for information regarding our selection of used car parts. Click Here to visit our online used car parts store!